Where did I say defend? I'm just saying they are for keeping him it seems. 1, ET isn't just a quality NFL starter. 2, You're right we aren't 1 player away from a top 5 defense, but we're also not in need of a top 5 defense. 3, every report is secondary and OL are 2 of the deepest positions on this team right now, so how is they are weak? Even in just the safety position alone how does swapping starter for starter weaken the position. Or if you are talking secondary, OL, DL then you haven't kept up with TC news where Hilton and Sutton are rotating out heavily at the NCB. Turns 30 after the year is over. He hasn't said he wishes he took more (he was the highest paid safety when he signed); he said he wants to know he has a future in Seattle or just move on. That guy is passing on FA if he moves to a team that wants him. You are overplaying the slot corner thing, especially given that you can easily find one. As for the NT thing....the following guys can give you quality snaps as a 30% of the time player and are available: Johnathan Haskins, Alan Branch, Pat Sims, Tony McDaniel. I have to agree; none of these guys you mentioned are deal-breakers for Thomas. We're not getting him anyway, because it's not the 'Steeler Way', but if if they DID take a chance on him, as much as I am a fan of giving Hargrave this year to figure it out...or not...giving him and a 2nd round 'tweener who isn't really great anywhere, a 6th Rd DL that really isn't the best fit for us, and two former UDFAs (I believe, right?) -- a 'meh' Guard on the wrong side of 30, and an undersized DB, is hardly too much for, like you said, the best FS in the game, or at least, a top 3 FS. Thomas is a 'game changer'--none of the four you are offering are, and collectively doubt they'd have the impact that Thomas provides. And while I understand your point, to a degree, about Bell, IMO, to have control over Bell, and be able to have first signing rights next season, It would be worth it for his level of talent. But my original point was to conduct a S&T, like they do in the NBA...sort of. not sure how it would work, or even if it's allowed, but screw it, go into negotiations with Bell...AGAIN...but this time, capitulate at his lowest offer, then put him on the block. I guarantee one of the other 31 teams would bite and be more than happy to pay Bell what he is asking, and I bet Seattle is one of those teams...Shaun Alexander...Beast Mode...they have a recent history of strong, big RBs. At this point, Bell is becoming a distraction, IMO. I'm tired of his 'Diva' attitude, after the Steelers stuck by him after his Blount-Blunt fiasco. they offered him 5 years $70M. I don't care how much was guaranteed, and sorry for my mini-rant, but AB, even his 'Diva-ness', signed with little fanfare and little guarantee, because he had faith in his own abilities; someone like Bell, IMO, isn't to be trusted. the Steelers, IMO, should have every right to make his contract 'Performance-based'. It's real simple; he provides the team 50 catches and/or 500 yds Receiving, plus 1000 yds rushing on at least 3.9 YPC, he gets his $14M the next year. He doesn't? It's on a pro-rated sliding scale. Between 40-49 receptions or 400-499 yds, he takes a $2M hit, to where he can't lose more than $6M on receiving...say after it's below 200 yds/20 rec, it doesn't matter, gets at least $8M...AS LONG AS, he rushes for the above. Between 900-999 yds, he takes a $1M hit, and so on. Of course, there would have to be a floor there to, say 600, so he's guaranteed $4M no matter what. And of course, a legitimate injury for a few games resets the totals. Anyway, IMO, this is how all 2nd, 3rd, 4th, and beyond, contracts should be handled. Guarantee like 25% of the contract, each year, but in order to reach the full potential of the deal, the player should meet certain 'gates'. It would be a nightmare for Salary Cap guys, but we worth it but keeping parity in the league. Sorry to derail your thread, warfelg. I'll bring it back full circle. Bottom line, this deal (yours) makes sense for both sides, and while Seattle fans would likely balk, the fact of the matter is, Thomas isn't happy there; they may as well get something for him. I mean I know I put out a deal that Seattle would likely balk at, but I did not expect any balking from this end over 3 guys that are very easily replaced. I mean, if we could get ET without having to give up any major parts then we should jump all over it. Especially if you do that move with an intent to extend ET right away. Not sure why you guys are getting so heated over a hypothetical idea that has literally no chance of happening. I'll be honest, I put this forth kind 'tongue in cheek' knowing it was a massive underpay for ET. At this point to me it's the acting like we cant give up some of the guys that I put in that to which I'm reacting to. If a team came to us and said we want to offer you one of their best defenders at a spot where we are weak; there's no way that the FO is saying no to that. Just no way. 2, You're right we aren't 1 player away from a top 5 defense, but we're also not in need of a top 5 defense. If you also believe that we are not 1 player away and that we are not in need of being a top 5 defense.....then why in the world do it? Thomas is a great player. He would greatly improve 1 position, but that dynamic does not turn this defense into a contending one -- and so to get THAT for giving up young, controllable pieces who could be part of a defense for the next 8 years as key components....no, I don't understand that. Hargrave and Hilton are good, above the line football players. They are 25 and 24 and both entering their third year in the NFL. 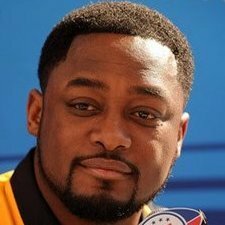 Hilton played just under 60% of the snaps and Hargrave just under 50%. They fit the mold of what defenses are -- the sub package, multi-use players. They contracts will be extremely affordable moving forward. You act as if these two are fine to be thrown out in the trash. Depth is what makes championship teams. Injuries happen and they happen all the time. We are only "strong" at interior OL and CB because we have ONE additional, capable player at each space. If you trade one piece, we are left with Coty Sensabaugh getting smashed again on Monday night as Joe Haden misses a game -- because he hasn't been healthy for a full season since he was a rookie. Your misinterpreting the word depth with what it actually means against a 46 man roster. We are deep, when fully healthy, because Finney and Sutton are, seemingly, quality backups. Move them into a starting role and we have no one behind them. We have quality players that create our depth, but its razor thin. I just dont understand the attitude that Hilton and Hargrave are trash and easily thrown away to improve 1 position -- and for a guy on an expiring contract. Earl Thomas for those players -- doesn't make us better. Earl Thomas WITH those players does. I love ET, but there is such a better -- more realistic -- way to do this. The Seahawks wouldn't turn their noses at this deal because we are not offering a handful of quality players they wouldn't take it because they want draft picks that they can pick and mold themselves for the future, not some salary dump. You can sell me on that -- trading a first and second/third for him. Realistically, gives us a great chance this year to win a Super bowl, helps improve our team in the long run if we can keep him, we have young talent a lot of places, and we will have more cap space as we move forward and out of Bell, Pouncey, Gilbert, Foster, etc in the next few years to maintain the loss of draft picks. Making the money happen is something the Steelers have been very good at navigating around. Even on the roster there are realistic cuts that net us over $5M in savings from Landry Jones, DHB, Sensebaugh, and McCullers. Those are already realistic cuts and don't dent the integrity of the starting units. A Cam restructure nets us close to $5M too. If you want to make the move, there are ways to do it that don't lose quality NFL starters for the next 7-8 years. What else is there to do on a training camp Monday before we even play the first pre-season game? Not saying you shouldn't discuss it, just that it's not worth getting worked up over, since it's just a hypothetical situation. I'm gonna stop right there because I think it does. Not a top 5, but clearly a top 10. Top 5 offense + Top 10 defense wins a super bowl. I mean, nothing that happens on this website is worth getting work up for. It’s meaningless back and forth for entertainment out of debate. I said my initial comment more in jest, but if your not passionate, even just a little, what’s the point in hitting submit reply? Your entitled to feel that way, but I disagree— strongly. You can argue that statistically we ranked top 10 already in a lot of ways, but I know most of us know that’s not accurate. But if the trade for all the reasons I’ve stated doesn’t make you drastically better, I don’t know why you toss out the young guys. You’re trade makes us drastically better at one positions, much weaker at a second, unknown at another (because the replacement has never played at the NFL level at the position and is still a young, question mark) but obviously weaker depth, and arguable weaker/worse depth in another. Then it throws in draft picks. That to me does not drastically change our fate, so the feeling that this is a “no brainer” is very puzzling to me. What's the much weaker and unknown at another? Finney played better than Foster. Sutton played well when in there. We played a NT only 30% of the time. Our secondary can go from a weak point to a strong point quickly and these aren't guys that are that high of level players. And if you arguing that they are impact enough players that we can't lose them, you got a lot of convincing to do. Much weaker is NT, more specifically just Hargrave as a defensive lineman. Not sure where you get the 30% number as the team played base 3-4 in 38.8% of the snaps in 2017, but even that is partially my point about losing Hargrave -- as he played 46.4% of the snaps. I am assuming that you got your number by how often we were in base set 3-4 where the NT would be playing, but that leaves an additional 16.4% (about 161 snaps) of play from Hargrave, meaning he is capable of playing across multi formations and in sub packages -- which has been my point of him being exactly what you want as NFL defenses transform into sub package play and need multi-use guys. You threw out names before of fill ins -- those guys are not on NFL rosters for a reason. The game is passing run only defenders by, unless they are in the right system. The best, I guess, is Hankins, but he wasn't a NT last year in Indy and his best fit was as a 4-3 guy with quality players around him on the Giants lines. Our next man up is Dan McCullers and the fa list you give us is...extremely meh. Unknown is Cam Sutton. Listen, I love him too and have super high hopes...but you dont know. There are reports from camp he has been great, others so-so, but I have yet to see any report where he is taking snaps from Hilton. We wont know until we play games, but I know who Mike Hilton is in games -- and across a full season. We saw Sutton play 113 last year and he did look good -- so did Cortez Allen in limited snaps. We also never saw any of those snaps taken from the slot, and if we did it was out of Dime and extremely limited. You dont know who he is. You dont know that he can handle it. Couple that with the fact that Burns is still a complete mystery and that Haden gets hurt ALL THE TIME, you are making the position weaker by getting ride of the one quality defender we could rely on last year in the CB room. Arguably worse is Finney for Foster. Its probably negligible, I know that. But Foster is still the better pass blocker and Finney has still shown weak points, like handling bigger guys -- though that's more from his time at center. Foster has given up 6 sacks and had 4 penalties over the last three years. He is still a very good and capable player. Im very willing to say we dont take any sort of real step back production wise, but I am not ready to say Finney is better than Foster. But lets table that. My larger point is that your trade is not the hands down best option. I ultimately dont care about Foster, as I do like Finney and I trust our best position coach in Munchak to get the full potential out of the next guy -- but he doesn't make something out of nothing. Sean Davis is obvious and I dont care about Dobbs. But Hargrave and Hilton should be guys you are trying to keep - not throw out in the bath water. I am all for getting ET -- and there are ways to make it happen. I have already described two potential alternatives to get him, though draft picks are the most realistic. If you want a Salary dump, Gilbert is a perfect candidate. We already drafted his replacement and most likely isn't getting another contract after we have shown he is capable of replacement and his suspension. I'm willing to take a gamble that our best position coach gets the most out of the drafted guy and risk 1 position change, thought I dont live it. You dont need to lump young guys on manageable contracts that have futures together to get the deal. Hilton and Hargrave cost us $1.4M -- COMBINED. That's DHBs number ($1.2M) -- and he is a guy who we could move along from with no real risk of future damage, eliminating starters, or really damaging our depth. Keep Hilton and Sutton and eliminate Coty Sensebaughs $1.4M. Trade Foster and Davis with more draft picks and have realistic cuts in DHB and Coty and you saved yourself $5.8M. Your trade saves us $4.276M -- I just saved us more than your trade AND Hilton and Hargave. We could risk a year off of high draft picks as we largely have many young guys or contracted players across the board at positions and we could use the cap savings the following year to hopefully net us an OLB/ILB and any other bit pieces we might need. That risk for a guy like Thomas, assuming he signs long term, is worth the chance. Id love ET, Id love to make it happen -- your trade is about 30th on the list of ways I would go about doing it. *Adding in my edit down here as my savings comment on Gilbert is more reflected to next year. His Cap savings this year is lower than fosters by about $300K, but he nets us $4.9M the following year. So let me get this right....you won't trade Foster because of the hit to depth, with Finney and Feiler behind him, but you will trade Gilbert who has.....behind him. I won’t trade Foster...and Hilton...and Hargrave. I believe I’ve now said it 100 times ...it’s about Hilton and Hargrave. Im willing to move foster or Gilbert, because their futures are to be short lived. I’m not willing to move the young guys AND those peices. It’s eliminating too much for the price of someone who doesn’t turn this defense around enough. Makes it better, sure, but not enough for what you are doing to the rest of the 46 game day players.